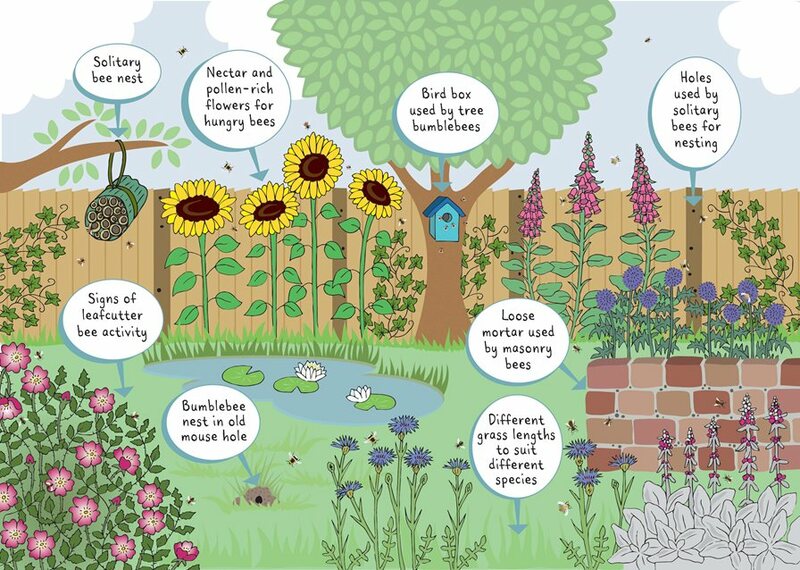 Download your wild bee action kit here. Make a beeline for your garden! Our gardens have immense value for wildlife. Each patch is part of a network of 15 million gardens that criss-cross the UK, put together, they cover 667,000 acres – an area seven times the size of the Isle of Wight. With honeybees often stealing the show, we wanted to draw attention to the plight of the wide range of solitary and bumblebees that also need our help. And of course, helping out our pollinators helps us too, with the work of bees indirectly providing us with every third mouthful of food we eat.